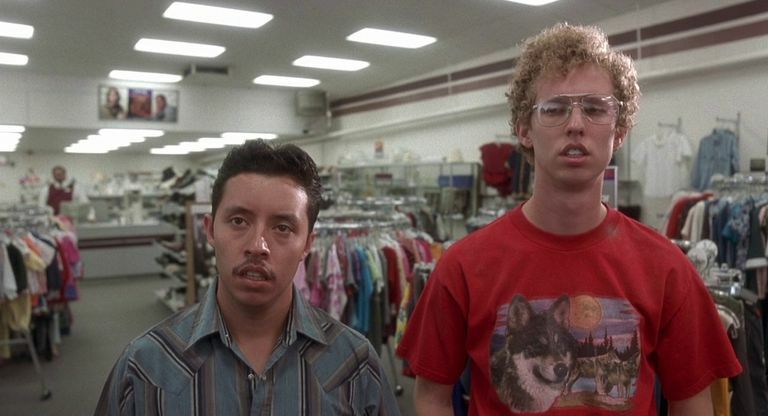 There is almost an entire generation that will testify that Napoleon Dynamite is one of the best comedy movies ever. Are you one of those people? It is an incredibly quotable movie was an instant cult-classic. Napoleon Dynamite: Hey can I use your guys's phone for a sec? Secretary No. 1: Is there anything wrong? Napoleon Dynamite: I don't feel very good. Kip: (making nachos on the other line) Hi. Napoleon Dynamite: Cause I don't feel good! Kip: (from the background) Your mom goes to college. Uncle Rico: How much you wanna make a bet I can throw a football over them mountains? Yeah. Coach woulda put me in fourth quarter, we would've been state champions. No doubt. No doubt in my mind.